Europe is an ancient word that was given new life as a description of the land mass that was known until around 1700 as Christendom—the Body of Christ. The name change came gradually after years of religious wars and the rise of the Enlightenment thinkers. 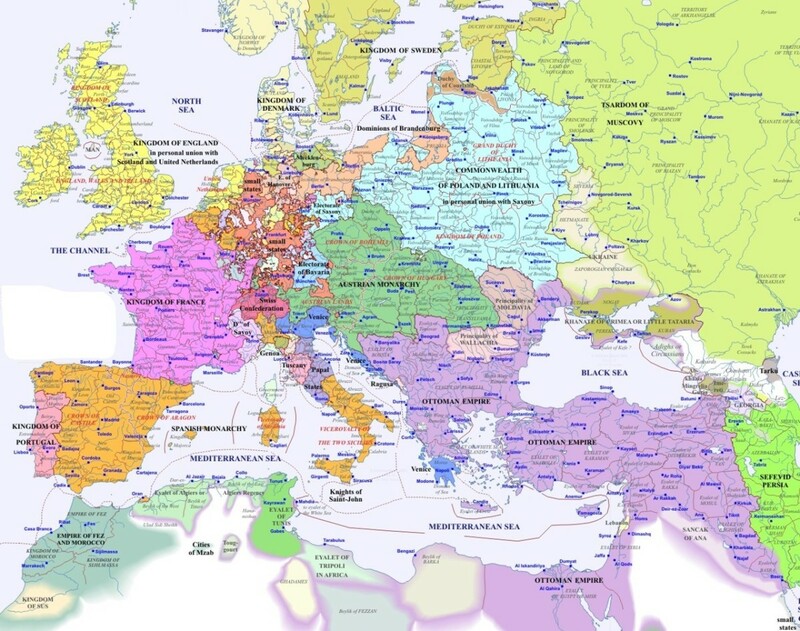 Christendom was established largely as a result of Charlemagne (742-814) and the Roman Catholic Church. The poet T. S. Eliot said in 1945, "The dominant feature in creating a common culture between peoples is religion. I am talking about the common tradition of Christianity which has made Europe what it is. It is in Christianity that our arts have developed; that the laws of Europe—until recently— have been rooted. It is against the background of Christianity that all our thought has significance." The culture of Europe today—with its obsession with nature, modernism, eroticism, economics, sport and cult of celebrity—is essentially pagan in character. For those of you who missed my earlier articles, let us begin with a review of the history of Christianity before Charlemagne. 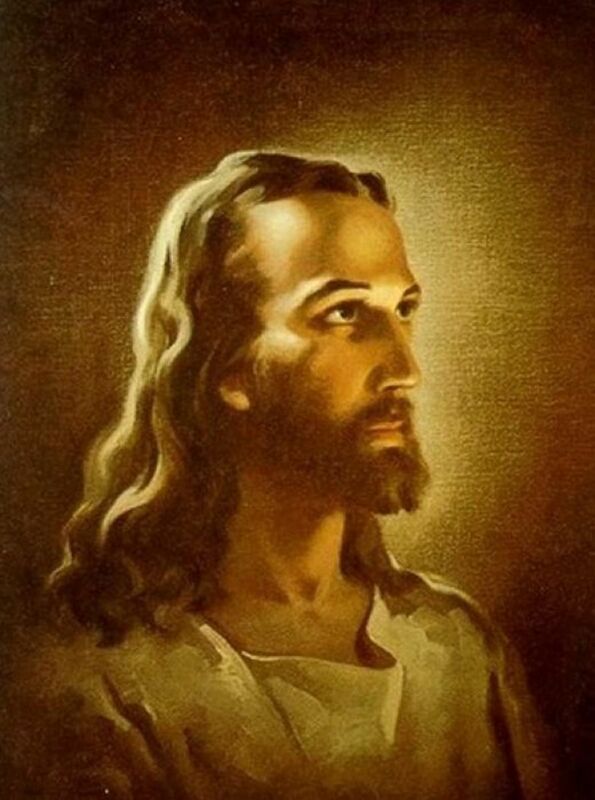 Jesus was a Jew from Israel about whom there is no trace in secular history. When he died, he left behind no organized church or priesthood; and no written texts. That Christianity, with its followers who were fishermen and slaves, should become the basis of Christendom—and later a worldwide religion—could not have been foreseen by anyone. The triumph of Christianity is simply the will of God. Early on the cross became the prime (and ubiquitous) symbol of Christianity; and Pascha (Easter) became its prime festival. Christian communities were established in most cities of the eastern Mediterranean by the Apostle Paul within 30 years of the Resurrection of Christ. Paul and the Apostle Peter were martyred in Rome about 68 AD, and from Rome the gospel traveled to all provinces of the Roman Empire. Paul proclaimed that Christianity was not a religion for only Jews but a faith and salvation for all people. To adherents of Judaism, Jesus was a false messiah, a dangerous rebel; and His followers had broken the sacred taboo dividing Jew from Gentile. To Christians, the Jews became known as Christ-killers. Thus the great divorce between them, finalized in 131 when Simon Bar-Kokhba declared himself the Messiah. Christianity would soon be influenced by Greek philosophy. Theological disputes created the need for authority, which was filled by Clement, the third bishop (communal leader) of Rome after Peter, through the doctrine of apostolic succession—authority vested in leaders appointed by the Apostles, or their recognized successors. In the 2nd Century, Christian leaders clarified orthodoxy (accepted) beliefs. The most pervasive myths involving Christianity are that Emperor Constantine "invented" the religion; made it the official faith of the Roman Empire; and decided the books of the Bible. 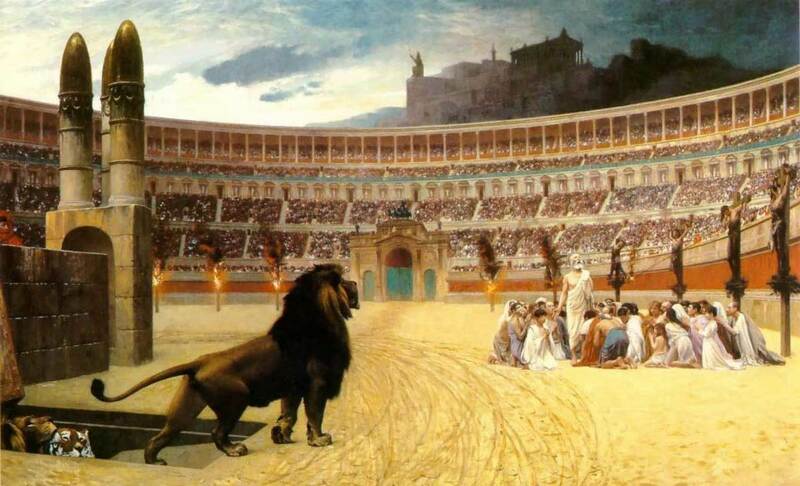 Christians were horribly persecuted and martyred by the Romans for 250 years before Constantine. Their churches and books were burned. 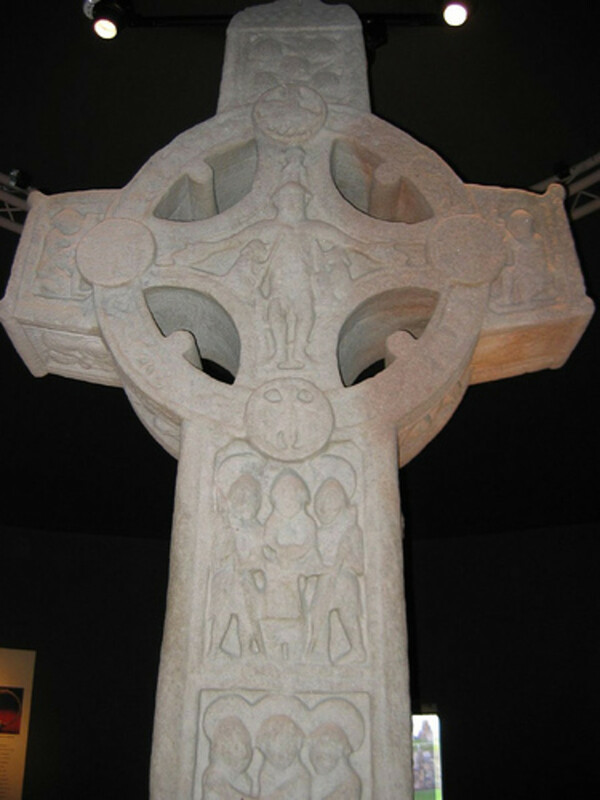 Constantine, whose mother was a Christian and who nominally converted himself, stopped all that in 313 when he declared freedom to practice all religions, including paganism. He did call the first ecumenical Church Council at Nicea in 325 but deciding the canon of the Bible was not on the agenda. The Council was called to settle a raging dispute within the Church between the followers of Athanasius and those of Arius. 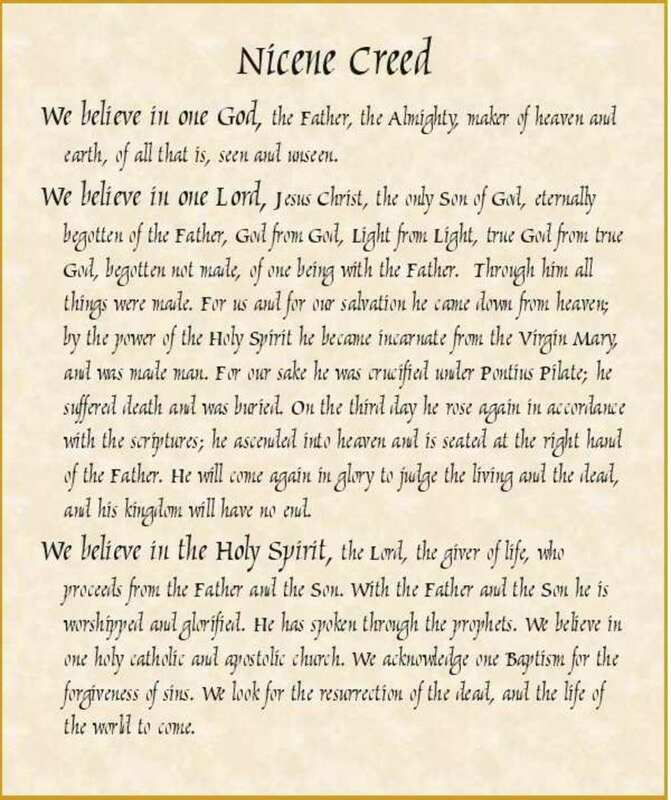 The result was the Nicene Creed—a binding creed on all Christians ever since. 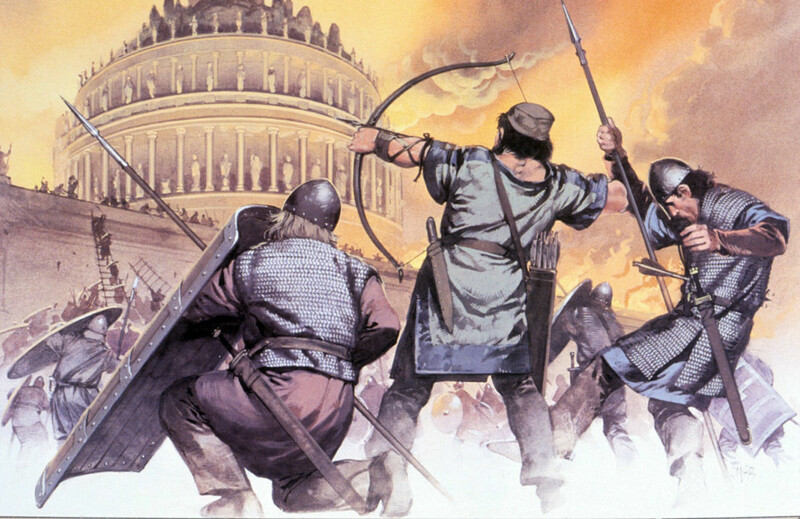 Rome fell to the Barbarians in 410. Monasteries, oases of classical learning, came into vogue. 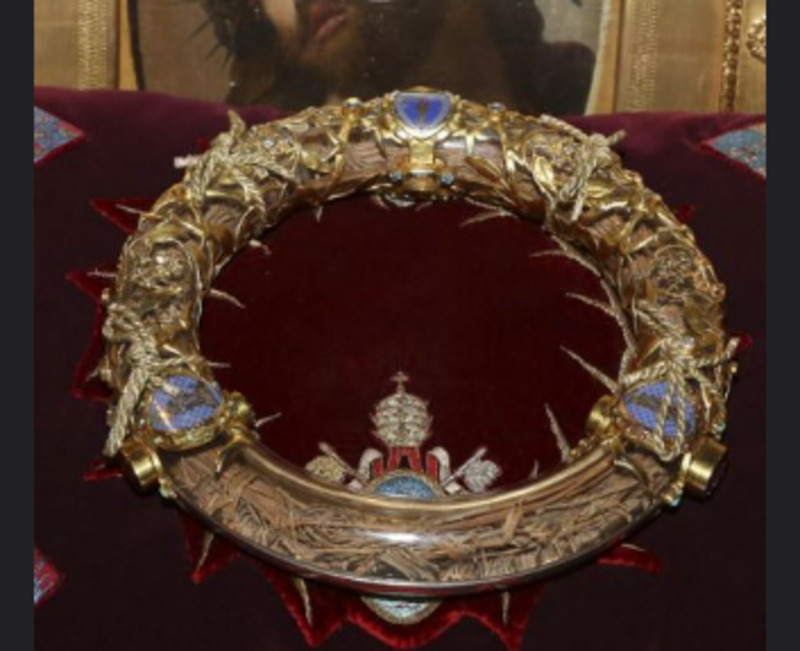 The veneration of relics became popular. Centuries of doctrinal hair-splitting began. Another interesting development was the creation of a Christian calendar based on the birth of Christ, using BC (Before Christ) and AD (Anni Domini or Year of Our Lord). The hitch is that the fellow who put it together was off by five years, meaning Christ was born in approximately 5 BC. The first Byzantine emperor, Heraclius (575-641), fought the Persians for decades, effectively softening up both sides for the Muslim onslaught to come in the 7th Century. Jerusalem, the Holy City of Judaism and Christianity fell in 638. Christian Byzantium would fight the Muslims for 800 years. The rise of Islam ruined the cultural unity of the Mediterranean lands. Muslims conquered Persia, Syria and Egypt from Christians and took three of their five holy cities, including Antioch and Alexandria. The Syrian, Armenian, and Coptic Churches were on their own. The stage was set for an eventually divided Christendom with its Patriarchs in Latin Rome and Greek Constantinople. The final meeting between a Byzantine emperor and the Bishop of Rome (Pope) was in 710. The last Church Council with the Latin and Greek Churches both in attendance occurred in 787. Charlemagne (Charles the Great) is not only the father of France, and of Germany, but the father of Europe (Christendom). He was a huge man; a devout Christian; a warrior; illiterate but a powerful orator; a devotee of wine and cheese; and a man with a weakness for the ladies that would make Bill Clinton blush. Charlemagne created a currency of the pound (literally a pound of silver), shilling and pence—still used in Britain until 1971. He founded a regional church structure that became known as parishes, and covered his empire with Benedictine monasteries. He invigorated a spiritual and intellectual revival. Charlemagne united Western Europe in Catholicism. Organized Christianity became the unifying feature of the medieval world. It was the Bishop of Rome who hatched the idea that Christendom should operate under the dual authority of the Latin Church and a Catholic Emperor. Pope Leo III was unpopular in Rome and imprisoned by his enemies. He escaped and appealed to Charlemagne to restore him to the Papacy, which he did. 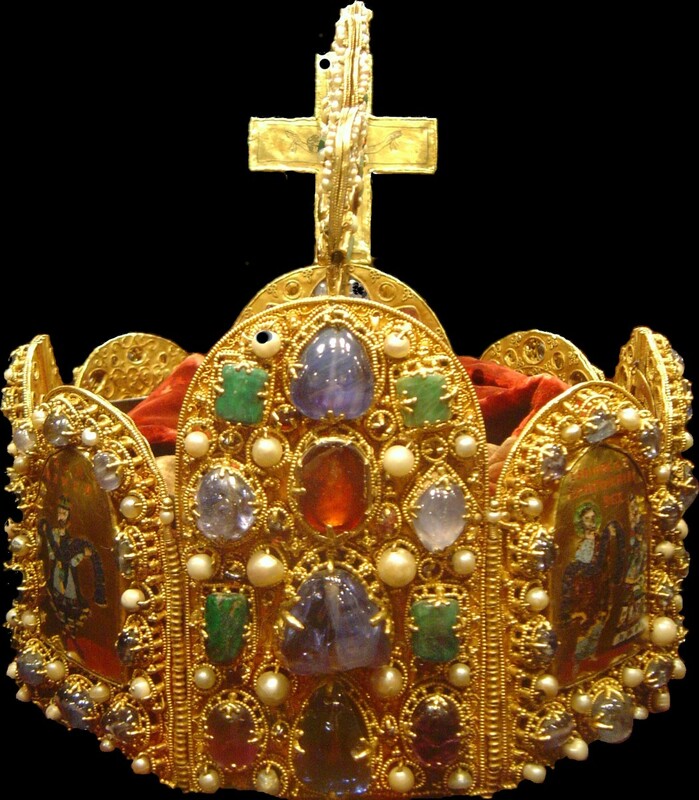 Christmas Day 800, Leo crowned Charlemagne the Emperor of the Holy Roman Empire—an institution that survived 1000 years. The new emperor was no fan of the Eastern (Orthodox) Church, calling it a "filthy pond of hell." He was also involved in what one day would split the Latin and Greek Churches. The Nicene Creed stated that the Holy Spirit proceeds from the Father but St. Augustine wrote that it proceeds from both the Father and the Son. Churches in Spain added the word filioque (and from the Son) to their Creed. Charlemagne accepted this change and most of the European churches followed suit. After his death the rise of feudalism dawned, whereby a king would grant a large swath of land to a useful warrior who would be named a Duke. In return, the Duke would maintain a regiment and pay taxes. The Duke then would lease the land to those in his area, who paid him rent and fought in his regiment. Below him were earls; counts; barons; and down below, the peasants. This system reduced the powers of the Church. Meanwhile, Vikings got into the slave trading business, capturing and selling western Europeans to Muslims. 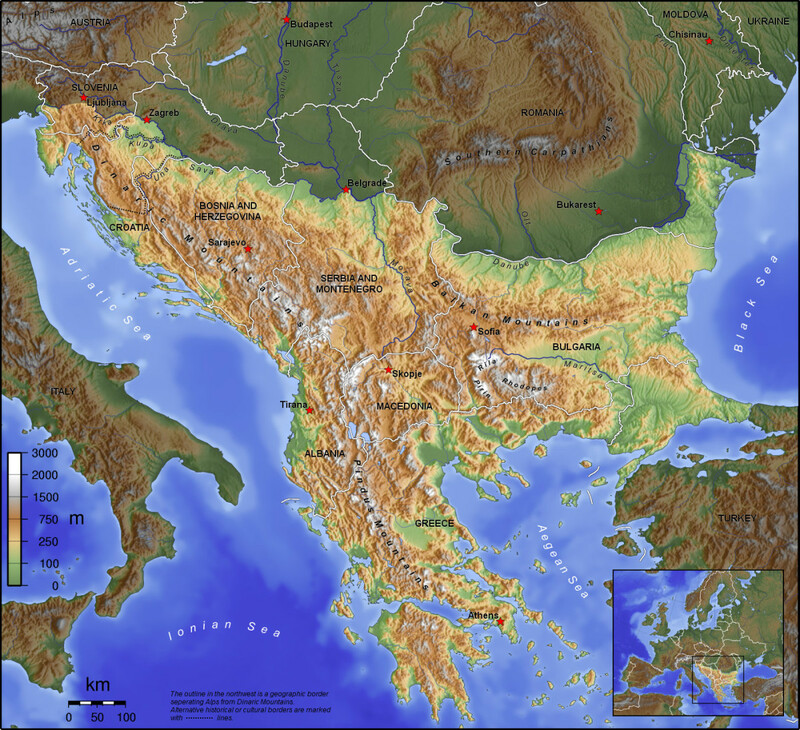 Christians persuaded them to restrict their operations to the southeast of Europe, home of the pagan Slavs, which is why the word slaves come from the word "Slavs". Many Vikings settled in France and 100 years later these Norsemen became known as the Normans. In 846, Muslims attacked Rome, breached the great churches of St. Peter and St. Paul, and stole their holiest ornaments. In the 860s, the Pope and the Byzantine Emperor excommunicated each other. Rome and Constantinople were becoming enemies. A cold war ensued between the churches of east and west, which viewed each other as aliens. The great missionaries Cyril and Methodius were busy converting the Slavs. It was Cyril who created the first written Slavic language, still used in Orthodox services, that became known as Cyrillic script— recognizable today as the Russian alphabet. In the Roman Catholic Church, there was a sudden eruption of questions concerning the Doctrine of Mary in the 9th Century. It became increasingly common in the West to address prayers and hymns to her. Autpert Ambrose (730-784) wrote, "Through her what we have done wrong may be excused, what we ask she may grant." Celebrations were held on certain days to the "ever" Virgin Mary. 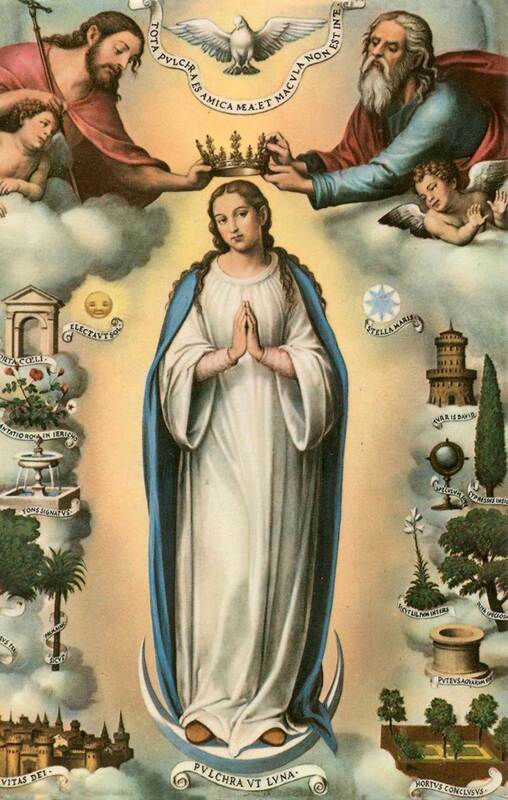 It came to be believed that Mary was a perpetual virgin, and mediatrix between God and man. She could obtain forgiveness of sins for us and heal the sick. Though it had been widely held that only Christ was born without Original Sin, a new doctrine surfaced that Mary did not sin, and did not contract Original Sin, either—The Immaculate Conception. There was also quite a controversy over Predestination. St. Augustine had written 400 years earlier, "God acted for the damnation of those whom He justly predestined to punishment and for the salvation of those whom He kindly predestined to grace." This appeared to create a conflict between grace and free will. The Council of Quiercy in 853 issued this statement: "God elected, on the basis of His foreknowledge, those from the mass of perdition whom He by grace predestined to life." 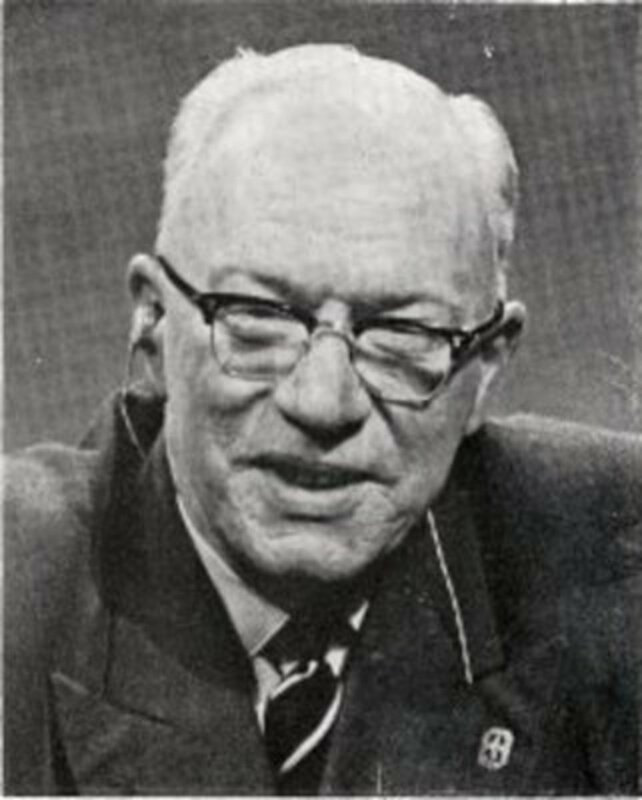 Gottschalk (808-867) deduced that therefore salvation was imposed on those who are saved and damnation imposed on those who will perish (double predestination), and that any other interpretation denied grace and the omnipotence of God. For this he was convicted of heresy and beaten. Hincmar (806-882) opposed Gottschalk, writing that "God has foreknowledge that some, through the freedom of the will assisted by grace, would be good, and that some would remain in their sins but were not predestined to remain wicked." So, he distinguished between foreknowledge and predestination. Others opposed Hincmar, believing that it is not accurate to refer to foreknowledge in God since God is outside of the time continuum that we live in. Florus of Lyon (809-860) countered, "There is nothing in the actions of God that He Himself has not foreknown and immovably foreordained. Good works are the works of the Creator but evil works are the works of the creature, foreknown by God but not predestined. We believe that none of the elect can perish and none of the damned can be saved." Ratramnus (d. 868) held the opposite view: "Nothing that happens to men in this world takes place apart from the secret counsel of God Almighty. For God, foreknowing all things that are to follow, decreed before the ages how they are to be arranged through the ages." John Scotus Eriugena (815-877) taught that the path to true understanding lay in "the cooperation of divine grace and the power of reason in the hearts of true believers. True authority is nothing other than the truth that has been discovered by the power of reason and committed to writing by the holy fathers. " Eriugena believed that true philosophy was true religion. 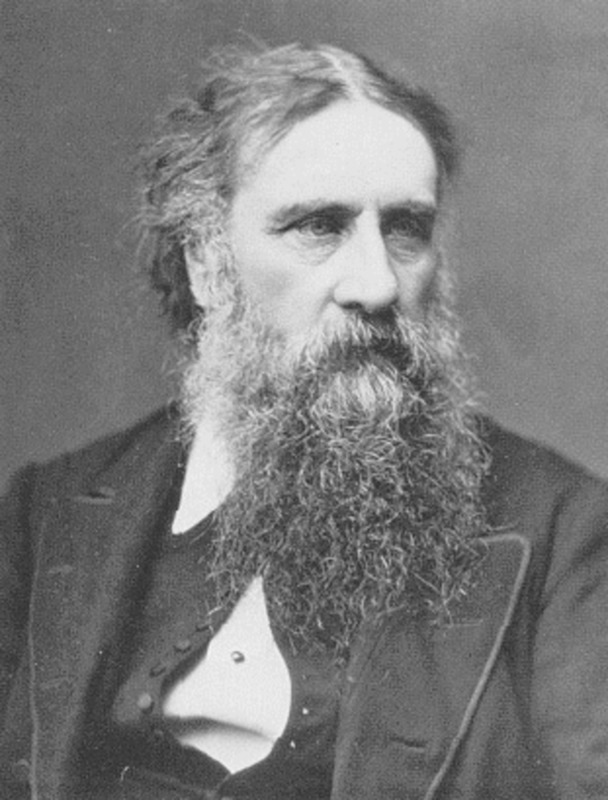 His detractors countered that Christ had not conquered through philosophers but through fishermen. They conceded that God is the source of all truth but noted that Greek philosophers did not have the Holy Spirit. Eriugena had a deep affinity with the Greek theologians, Maximus Confessor, Gregory of Nazianzus, Gregory of Nyssa, Dionysius the Aeropagite, and Origen. He introduced their teachings to the West. Eriugena believed that terms such as predestination and foreknowledge are human constructs that cannot be applied to a God who transcends time. His most controversial doctrine was that the entire human race will be restored through Christ. The most painful schism in the history of Christianity was the break with its parent Judaism. The next great calamity is yet to come in our story, the Great Schism of 1054 between the Church of the East (Orthodox) and West (Roman Catholic). 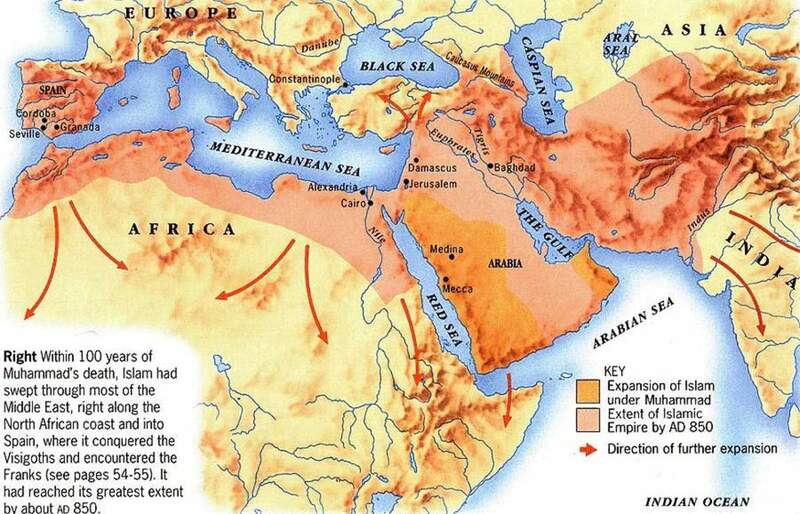 We won't travel that far today but the seeds to that split can be clearly seen in the 9th Century. And the consequences were great, as the Church in the East was seriously weakened while facing the constant threat of Islam; and the Church in the West was to become so powerful that abuses resulted that provoked the Reformation—tearing the Western Church apart. Roman Catholicism had a nearly spotless record of doctrinal orthodoxy up to the 9th Century. Every council had either presiding officers appointed by the Roman Pontiff or had its decrees validated by the authority of letters from him. Rome had emerged victorious from one controversy after another and it was clear that the side Rome chose would be the winning side. The blemish on this record was the heresy of Pope Honorius in the 7th Century, and this blemish made the Eastern Church refuse to agree to any doctrine of papal infallibility (that the Pope cannot make an error since the Apostle Peter speaks through his mouth). 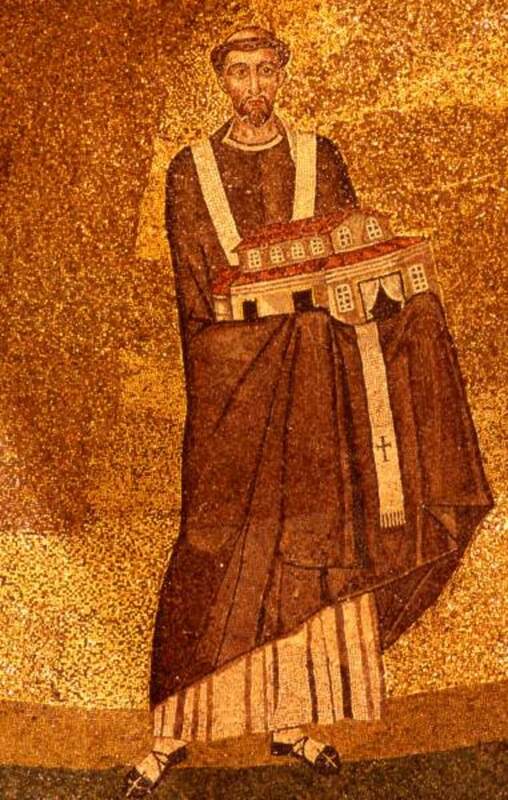 At one point the Roman Church tried to create a phony monk named Honorius who was the heretic; and later tried the tactic of simply erasing Pope Honorius' name from many records—but the Eastern Church was not buying. In the 9th Century many in the West criticized the East for the perverse errors of their dogmas and doctrines. Constantinople had in fact been a hotbed of heresy. Rome claimed an unbroken line of apostolic succession, making it the authority over all Christendom in matters of orthodoxy. A struggle erupted over Bulgaria. Rome claimed ecclesiastical authority over Slavic peoples but missionaries from Constantinople had converted them to Christianity. The Church in the East disputed Rome's authority, which it claimed was based on the primacy of Peter. After all, the Apostle Peter had been in Antioch for eight years prior to going to Rome, so why wouldn't the church in Antioch (or even Jerusalem) be the primary apostolic church? The East further argued that Rome had accumulated its power by virtue of being the imperial political seat of the Roman Empire, which it had long since ceased to be. That title now belonged to Constantinople. Should not the New Rome now have primacy over the Church? Photius (810-893) was the Patriarch of Constantinople and the central figure in this story. He believed that the Eastern and Western Churches should cooperate as equals but would not acknowledge the supremacy of Rome, or its right to interfere in the affairs of the Eastern Church. Rome responded that it had the duty to intrude upon the affairs of the Church everywhere, as only it had consistently upheld orthodoxy. 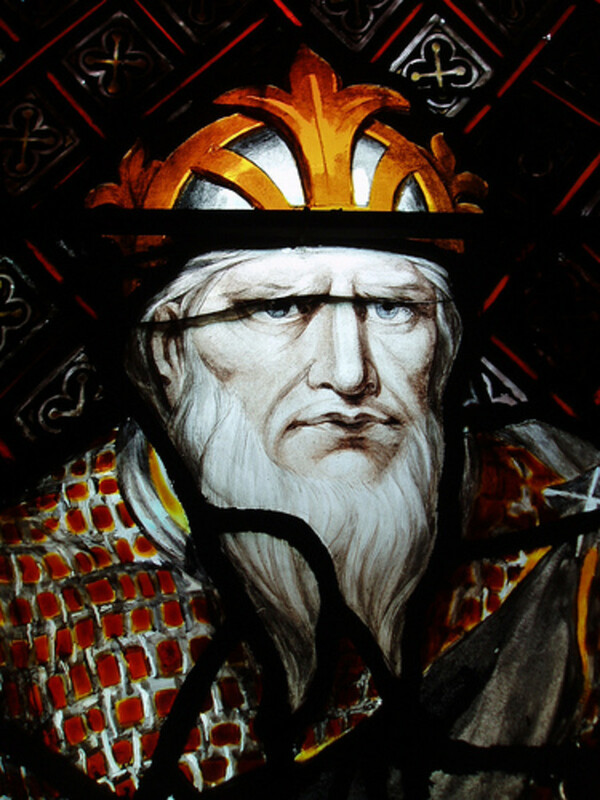 Photius later became the champion of independence for the Eastern Church. The problems began when the Byzantine Emperor Michael deposed the Patriarch of Constantinople and replaced him with Photius. The Church in Rome was furious that the emperor had interfered with Church business. Rome put forth its claim that it had power invested in it from Peter that could never be usurped. Constantinople responded that its first bishop was the Apostle Andrew, Peter's older brother and the first disciple of Jesus— who brought Peter to Christ. This fight became known as the Photian Schism. Kaie Arwen— Thank you very much for using my Hubs in your classroom! I am honored that you would consider them worthy of such a distinction. You have made my day! I fixed the pictures so they will blow up when clicked upon. I appreciate you bringing that to my attention. I don't think we had that feature back when I first published this Hub. J D Murrah— Nice to see you again, my friend. I am glad you enjoyed this Hub. Charlemagne was indeed quite the man. History is not a favorite subject for many today. That is a shame. I love it! Thanks for visiting and commenting! I enjoyed your coverage of Charlemagne. He did quite a bit to establish Christianity. I enjoyed reading a biography of him. He had some real knock-down disagreements with Rome. I especially liked when he began correcting them on their Latin and interpretations of Scripture. He was quite a man that many in the world are ignorant about. peter— I certainly agree with your words 100%. Thank you for visiting and commenting. schoolgirlforreal— I do support Christianity. Full on! I will come over and read your Hubs ASAP. I've made a note of it. At my age I need notes or I forgot most things I meant to do. I'm a Believer, alright. Thank you for coming. I love the subject. It appears you support Christianity as you said it survived by the 'will of God'. How great! I agree completely. 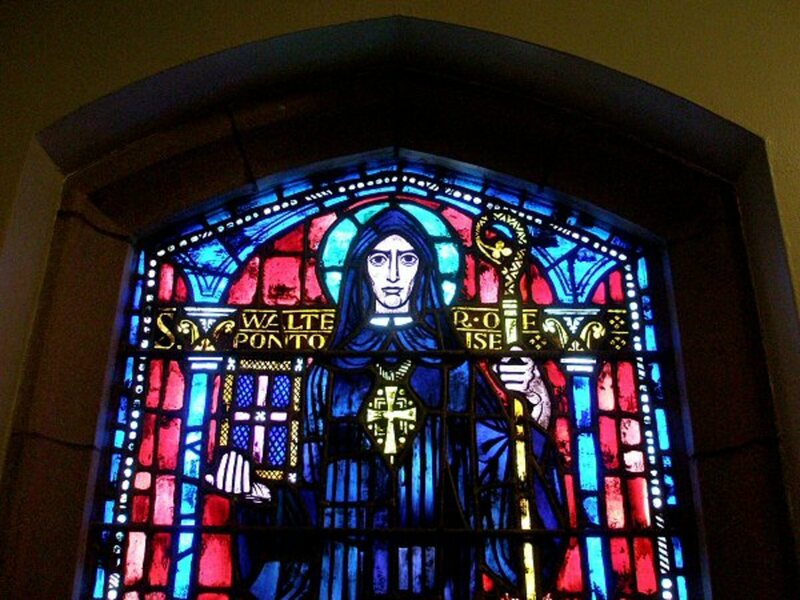 I believe I have 2 hubs so far on this subject,sorta, on Catholic Saints and Inspiration. djbraman— Thank you so much for your gracious compliments. I will surely come over and read "Runaway Bride." Thanks for that tip. I am well pleased to find a kindred spirit. I appreciate you reading my work and leaving your words here for me to read. This is written very well, good history. I hope you read my new hub, Runaway Bride which is the history and roots of Christianity. I'm glad to see our time frames are in agreement, however you detail much better the personalities in the Roman Catholic church. I delve into the great awakenings and how others demoninations came into being. Good hub. People are so misinformed about the roots of Christanity and I'm so glad we're on the same page! Yeah! I'm currently reading Ken Follett's 'Pillars of the Earth', a richly-detailed historical fiction set in the (I think)12th century. I've always been a fan of Follett's action writing, but raised a quizzical eyebrow when I saw this on a friend's bookshelf. Boy, speaking of 'back story', it certainly brought this Hub all the more to life! Keep up the great work and I'll do my best to keep up with your manic scribing. "Quill"— Thank you, kind sir. I surely agree about where we need to focus. I appreciate your compliments. Thanks for coming by to visit. psychicdog.net— Thank you very much! And you are welcome. Bravo James...Bravo...you have outdone yourself in the research and presentation of this hub. Many great reference points which you have pointed out. explaining the changing Church. Politics have played a major role. But the main focus needs to be on Christ and Christ alone. fascinating and well written. Thanks James. James, the depths of your information is always amazing! I appreciate your thoroughness As a Christian, this topic is very interesting and important to me. Thank you for the History! eovery— You are welcome, my friend. I'll keep on as long as I can. Thanks for coming by to visit. Always a pleasure. SirDent— Just to know you were here is enough for me. Thank you for the compliments. I enjoy hearing from you. You are a good man. Not much else to say here. Very well written hub with lots of facts. I love reading your writings. Scott.Life— Thank you very much for your kind compliments. I am well pleased that you enjoyed it. There has definitely been a long internecine squabble within Christianity and of course, that weakens its defenses against all sorts of attackers. Thanks for reading. I appreciate the visitation from you. RevLady— You are most welcome. Thank you for your gracious words. I appreciate you. God Bless! Tom Whitworth— You are welcome, brother. Thank you for providing an apt description of one of the meanings of this piece. I always enjoy hearing from you, Tom. Great stuff James, you make your histories educational and entertaining. It is surprising to see how much of traditional dogma was created by men and their presumptions, but to be expected I guess. Sad how Christianity has struggled with itself for so long and even today in what could be argued to be the birth place of Christianity (Europe) there is still so much derision and disagreement. James, as always, this is an excellent hub, easy to understand and stated in a logical fashion. Since this is a huge topic, I like the way you spoke of the most influential events that shaped Christianity. As Tom stated, spirituality is what is most important, not doctrine. Thanks. Thank you for this hub James. It is quite informative as well as fascinating. I also appreciate how the content is organized. Thank you for writing this exposee of the difference between religion and spirituality. Religion is way too political while spirituality is based in the knowledge given by The Father through The Holy Spirit that Jesus the Son is the true Savior of all humankind. Thank you, James, for making this great effort to write this hub. I was born and brought up in the Catholic religion and never knew all that. That is what upsets me because they never teach the full history but only all the perfect side. I love history and found your article very interesting because of all these truthful details. I love your hubs, don't ever stop writing. quietnessandtrust— Hello my old friend and fellow musician! I'll have to look for that quote. I cannot thank you enough for your support and encouragement. "fight one another as I have fought you"
T.D. Mitchell— You are my first visitor! I think we have a prize for you. Thank you for reading my Hub and you are welcome. I see you are in your third week so welcome to the Hub Pages Community! Waiting on your next installment. Thanks, James!